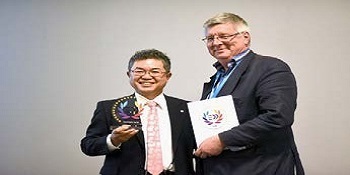 Fespa, Cologne, Germany - 21 May2015- The Saudi based MMD Display purchased an all new Durst P10 250 HS on the fourth day of Fespa 2015. The company is a leading supplier of display stands and advertising materials in KSA. 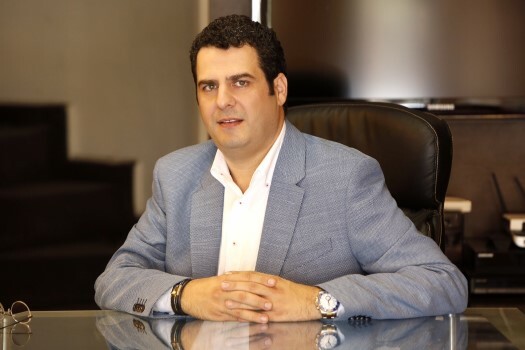 The new printer will boost the capacity of the company which already boasts a fleet of Durst printers including Rho Pictor, Rho 700, P10-200 and P10-250. Signing ceremony took place today at Durst stand with the participation of Markus Gleissner, Durst Regional Business Manager East Europe, Asia and Africa and Elie Bekhazi Division Manager, Mahmoud El Fasatleh Saudi Branch Manager at Giffin Graphics along with representatives from MMD display. The Rho P10 inkjet printer series defines the new quality standard for the industrial print production. 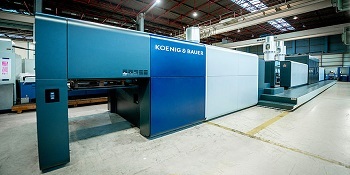 The new print machines combine speed and quality without compromising either. Furthermore, just like previous flatbed and roll-to-roll printers, their ability to print on the widest range of rigid and roll media provides unrivaled and convincing versatility. The Durst Rho P10 Series includes the versatile 2 meter wide UV flatbed printer Rho P10 200 with a modular upgrade option, and the P10 250 with an unrivaled production capacity. Equipped with the latest Durst Quadro Array 10 print head technology, these systems achieve a print quality of 1000dpi without loss of speed. This also applies to the use of light colors. 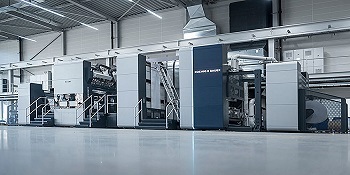 The compact and robust print machines for industrial production are designed for non-stop printing with minimum downtime, so they provide the highest production efficiency and reliability.